Installed on both floors of the gallery, DAY MOON joins a solo exhibition of Jodie Vicenta Jacobson’s photographs and sculptures upstairs to the curatorial vision of the artist downstairs, inviting a group exhibition to unfold the mythologies and concepts guiding the artist's vision and practice as multiple and collaborative – while blurring the lines between curation and creation. Each floor illuminates the other, aligning the space through the artist's lens. The joint exhibition finds axis around that which exists but is seemingly improbable. Like the mystical unity of opposites implied in a day moon – a joining of the light of day and a celestial night, this collaboration brings Jacobson’s mythology to the fore. By melding several individual methodologies including video, sound, dance/film, painting, photography, sculpture and collage, these specific artists embody some sense of the curator’s inner sensibilities. The multiplicity implied in a single artists vision upstairs, acts as a rhetorical device for the reception of the grouping on the main floor. Kinetic in its influence and bond, a visual and ephemeral poetry is formed between the artist as curator and creator. Riffing on the transference of psychic relationships, the alchemy of creation acts as a shared energy. I as in us. Opening on March 11, 2015, the exhibition An Unfixed Image: The Photographic Across Media will explore the nature of the photographic image and its relationship to embodiment as an object. From its inception the photograph has been duplicitous as it has existed as an image and an object, referenced the real and the fictional, and operated indexically and specifically. The artists in the exhibition—Lothar Hempel, Leslie Hewitt, Elad Lassry, Marlo Pascual, Eileen Quinlan, Mariah Robertson, John Stezaker, Sara VanDerBeek, and Letha Wilson—create works that engage a porous relationship between analog and digital practices while raising crucial questions about visual strategies and the materiality of the photographic image. Working with diverse methods and materials, these works reflect and destabilize photography’s ubiquity. The exhibition will be on view through April 26. 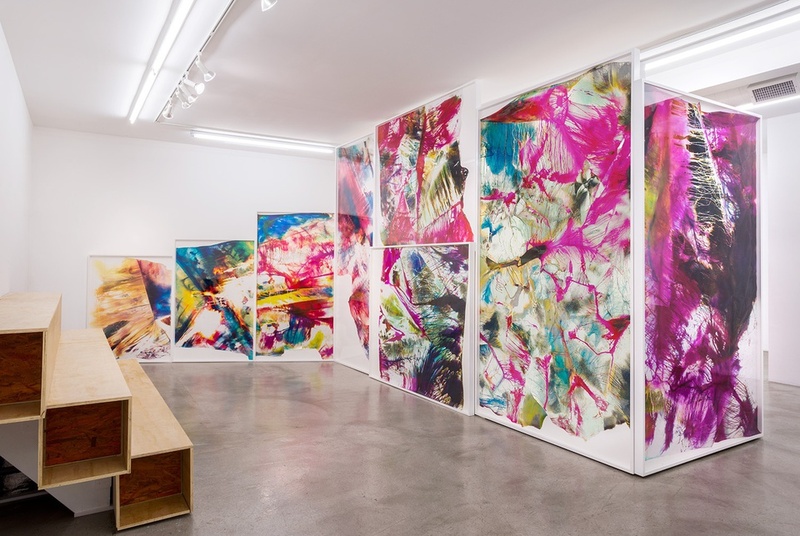 The Shandaken Project will celebrate three years of residencies with a retrospective exhibition featuring over 60 artists who are part of the Shandaken community. The show will be held in a disused, floor-through apartment generously donated by Creative Time. Works created at the residency, others responding to the unusual exhibition space, and new work never before exhibited, will be on view at the show and presented in a closing night salon.